Het ibis Melbourne Swanston Street ligt op een steenworp afstand van de iconische monumenten en toeristische attracties van Melbourne. Het hotel beschikt over 235 comfortabele kamers en WiFi. Vanuit het hotel zijn Queen Victoria Market, de Italiaanse wijk Lygon Street, de restaurants in Gertrude Street, The Royal Exhibition Building en de winkelstraten in het centrum van Melbourne goed bereikbaar. The Emporium en Melbourne Central Shopping Centre liggen op 10 minuten lopen van het hotel. 609 Swanston Street, Melbourne 3053 A tram ride away from city's most happening spots and the busiest train station - Flinders Street. Convenient for University goers with Melbourne University and RMIT at a 10-min walking distance. Located on Melbourne CBD fringe with easy access to city free tram zone. Free Wi-Fi from the second you walk in throughout the hotel. Queen Victoria Market, Melbourne Museum and Melbourne University are all a short stroll away. 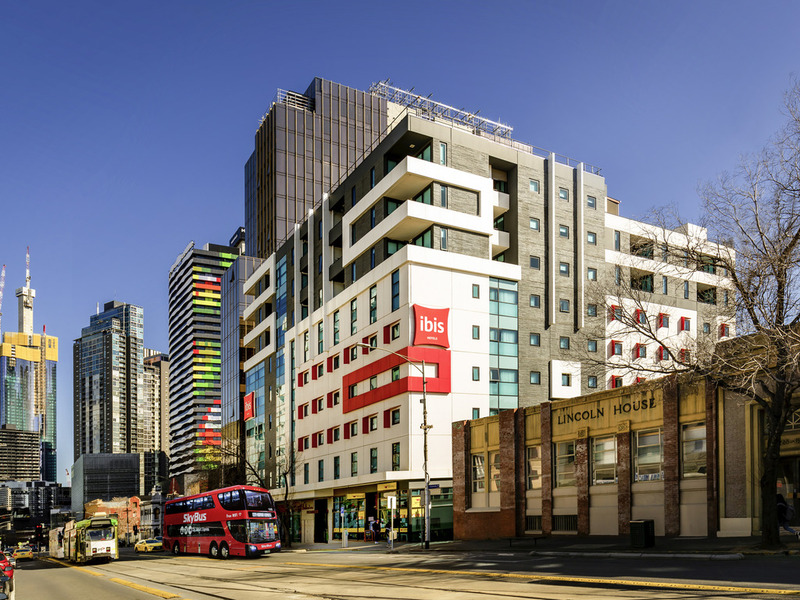 ibis Melbourne Hotel also features a 24 hour reception and an on-site laundrette. With locally brewed Wonder Kafe coffee explore this beautiful city in true Melbournian style. Enjoy a drink or two at the hotel before you head-out to face the chilly winters of Melbourne. Managed by Wokks, the bar serves drinks from 5:00pm onwards daily until late. Rustig, niet gehorig en goed, zacht bed. Dichtbij centrum melbourne en goed bereikbaar met de tram.